Grand Junction Arms in Canal Bridge has accommodation. The pub has a beer garden, it has a car park. Grand Junction Arms has disabled facilities. The pub gives a warm welcome to dogs and their owners, it is a family friendly pub. Grand Junction Arms serves food. The pub serves real ale, it has free WiFi. Grand Junction Arms has a dart board. The pub has a pool table, it is a member of Cask Marque. Willesden & District Social Club in Brent has a dart board. The pub has DJ's, it has karaoke. Willesden & District Social Club has a pool table. The pub shows football on TV. Stonebridge Park Hotel in Brent has accommodation. The pub has a car park, it has an outside area. Stonebridge Park Hotel has a smoking area. The pub has free WiFi, it has a dart board. Stonebridge Park Hotel has a pool table. The pub has a big screen, it shows football on TV. Stonebridge Park Hotel has Sky Sports. The pub has terrestrial TV. Shawl in Brent has a dart board. The pub has DJ's, it has karaoke. Shawl has live music events. The pub has a pool table. Misty Moon in Brent has a big screen. The pub shows football on TV, it has Sky Sports. Misty Moon has terrestrial TV. Royal Oak in Brent has a function room that can be booked. The pub has an outside area, it has a smoking area. Royal Oak has free WiFi. The pub has a dart board, it shows football on TV. Royal Oak has Sky Sports. The pub has terrestrial TV. 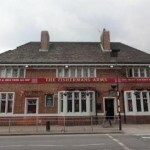 Fishermans Arms in Ealing has a car park. The pub has a smoking area, it has live music events. Fishermans Arms shows football on TV. The pub has terrestrial TV. Angies in Brent has a big screen. The pub shows football on TV, it has Sky Sports. Angies has terrestrial TV. 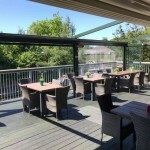 Burren in Brent has an outside area. The pub has a dart board, it holds Poker Nights. Burren holds quiz nights. The pub has a big screen, it shows football on TV. Burren has Sky Sports. The pub has terrestrial TV. The Castle is a great pub with a big beer garden. We have a great range of Craft Beers and Delicious Fresh Food. We also show Sky Sports. Pop in and say hello! 21/04/2015 Amazing food and staff!! 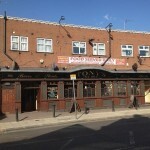 We are a proper pub in the heart of Willesden and make sure all our guests feel welcome and relaxed. 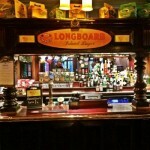 We serve sensibly priced food, show all the big sporting events and have a DJ or live music at the weekends. No.8 in Brent has accommodation. The pub has an outside area, it has a smoking area. No.8 has free WiFi. The pub has a pool table, it shows football on TV. No.8 has Sky Sports. The pub has terrestrial TV.